Value oriented, specialty moving company, focused on Moving of Household Goods and Offices. Movers in Mississippi represent - Spyder Moving Services College is one of the most beautiful periods in one’s life, but moving out from family home for the first time can be stressful and overwhelming. So let is make it easier for you, at least from practical side. 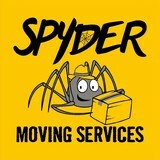 We are Spyder Moving Services, one of the best moving companies in Mississippi and experts for student relocations. If you hire us, you don’t get just free five moving boxes, you get experienced movers who know how to pack and transport your belongings fast and easy. And if you need a steady hand for assembling or disassembling furniture, we are the guys for the job. No time for packing and unpacking? Don’t worry, we got you covered. 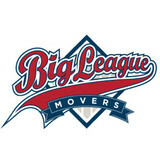 As you can see, our movers Oxford MS can cover every step of your moving and packing process. You can just relax and start making new friends. And when it comes the moment for leaving, you know who to call. Our passion is moving and our goal is having satisfied customers. At Spyder Moving Services, we like to believe we are more than movers, we like to believe we are part of the new chapter of your life! And that motivates us never to spot learning, and working on improving our skills. So, we will do our best to meet your expectations to the fullest. And if you like us, call us again and spread the word. Relocating to a new house is stressful enough without having to worry about the logistics of an entire move. So when it comes to the heavy-lifting (literally), leave it to the professionals — professional movers, that is. Experienced Southaven, MS moving companies consist of expert movers and packers who can efficiently pack, move and assemble your Southaven belongings to ensure that you get off to a good start in your new home!